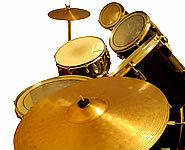 There are several tips that may help you at the time of buying a musical instrument. It is important that all the necessary research has taken place beforehand. Although this can be time consuming on the larger instruments, they do cost a lot of money and it is therefore important that you purchase the right model for yourself. Read reviews and articles from specialist resources (magazines and internet). It is good to be informed about the instrument that you intend to buy. Obtain advice from a teacher or friend who has recently bought an instrument. They may have some good points to share and some useful advice when it comes to buying an instrument. Talk to the qualified shop owners/salesmen. They should be able to point in the right direction but do question them if they want to sell you the expensive model. Play the instrument in a shop's practice room or at home on a trial. This can give you a valuable insight into how the instrument feels and how it sounds. Take the instrument through it's paces. 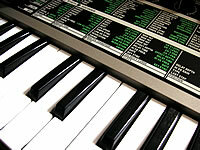 Some instruments can be expensive to buy new like the Piano for instance, in which case an electronic keyboard could be an option. Also, consider where you are going to store the instrument as, again, pianos can take up a lot of space. As with any other goods that are purchased today it is important to ask about the after sales service, which may include insurance and warranties especially if you are buying a big musical instrument. As with the last point don't forget to ask if there is anything included in the price. The little things like tube cleaners, polish, straps, a carrying case, plectrums, extra strings, and a music book can all add up so a little extra can help. Other considerations maybe necessary if you are buying a musical instrument for a child. If the child is just starting to learn an instrument then many schools do lend them out for a short time, which will help you to establish whether or not they will continue with it. Whilst your child is growing, it is a good idea to hire or buy student models which are less expensive than the full sized instrument. The sound quality is not as good as a professional one but it is good enough, especially as a less trained ear will not notice the difference significantly.